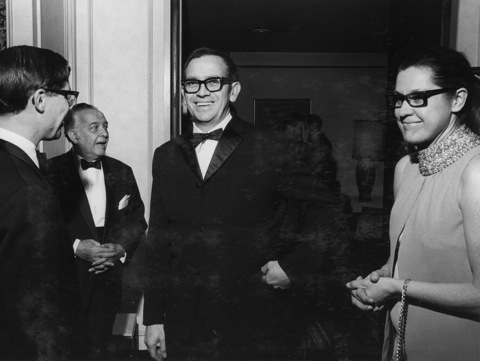 Sam & Alida – guests of honour at a photographic dinner, Johannesburg, late 60s. Alida and Sam in the Glebe Place, Chelsea, London studio in the 70s. Photo: Petr Tausk 1976. This image is in the permanent collection of the National Portrait Gallery, London. Alida Haskins (1927-2012), my mother and wife to Sam Haskins (1926-2009), passed away on December 5th, 2012 in Sydney Australia, she had been ill with Mesothelioma for a year. Alida was not just Sam’s wife, she was his business companion for his entire career. The great heroic moment of her support for Sam was the successful sale of ‘Five Girls’ (1962) after being turned down by dozens of publishers. ‘Five Girls’ changed the history of figure photography, inspired the greats of the time including Penn, Avedon and Sieff and launched entire careers like that of Wingate Paine. 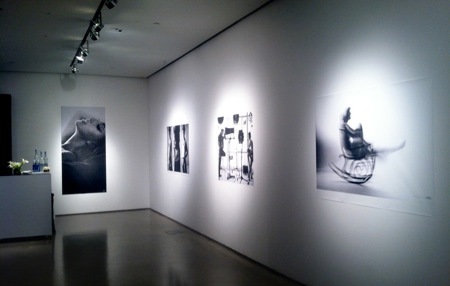 The commercial success of ‘Five Girls’ and the photographic explorations of grain, dynamism, natural beauty, controlled aesthetics, graphic composition and book layout saw their full expression in Sam’s following three books from the sixties; ‘Cowboy Kate & Other Stories’ (1964), ‘November Girl’ (1967) and ‘African Image’ (1967). Cowboy Kate was featured in the International Centre of Photography’s (NY) exhibition ‘The Open Book: A History of the Photographic Book from 1878 to the Present’ (2005). 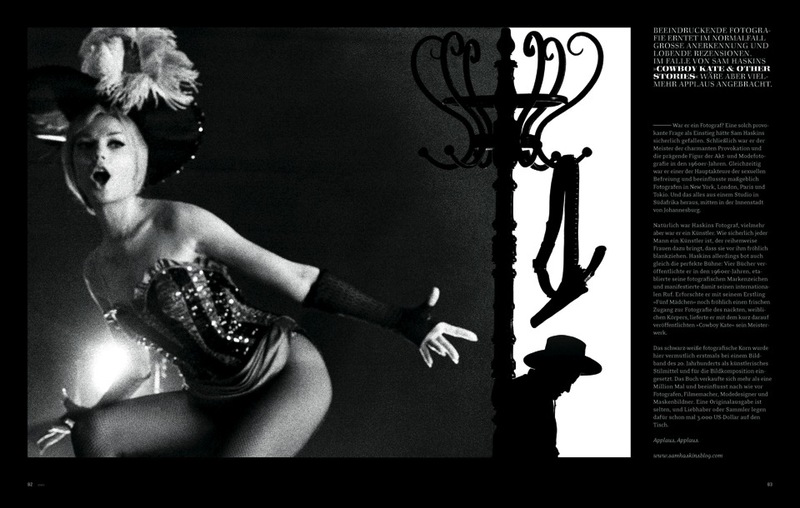 ‘Kate’ as the book is affectionately known, is probably one of the best selling photographic books of all time. Sam’s distinctive, revolutionary black and white images from the sixties are today, more than ever, highly influential on image and style makers from myriad visual disciplines. All of this would not have been possible without the business savvy farm girl from South Africa who travelled alone to New York – her first trip to the states – with a ludicrously heavy, hand printed maquette of Five Girls under her arm and a rolodex of every photobook publisher in NY. After six weeks of seeing a publisher every morning and every afternoon (developing an ulcer in the process) and being rejected every time, Sam sent her a telegram and told her to come home. Alida, of course, refused to give up, and the rest is history. 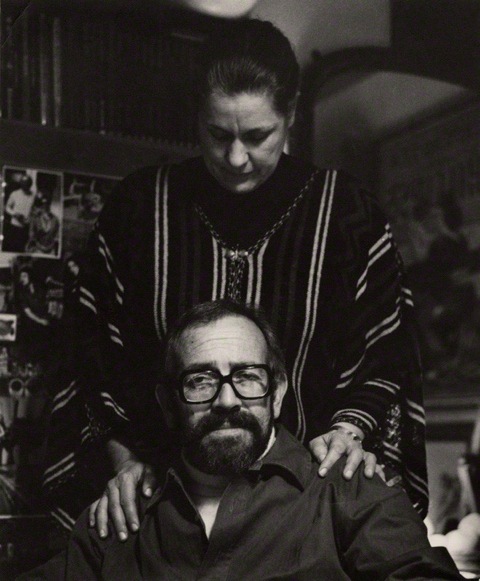 Alida remains to this day uncredited for her creative contribution to Sam’s work – everyone simply saw her as the business mind behind the successful photographer and the chef of legendary studio lunches and dinners. 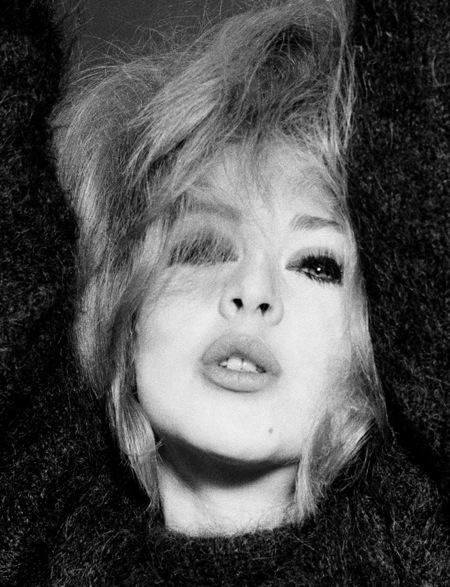 However, Alida had a highly developed eye which many people noted and informally she advised advertising agencies, the BBC, fashion and major lifestyle retailers with ideas that became revolutionary but for which her contribution is unknown. In Sam’s studio Alida played a key creative role as a stylist. Scouring Johannesburg, London, New York and Paris for props that have been immortalised in Sam’s books. She quietly but firmly also acted as a brilliant picture editor. 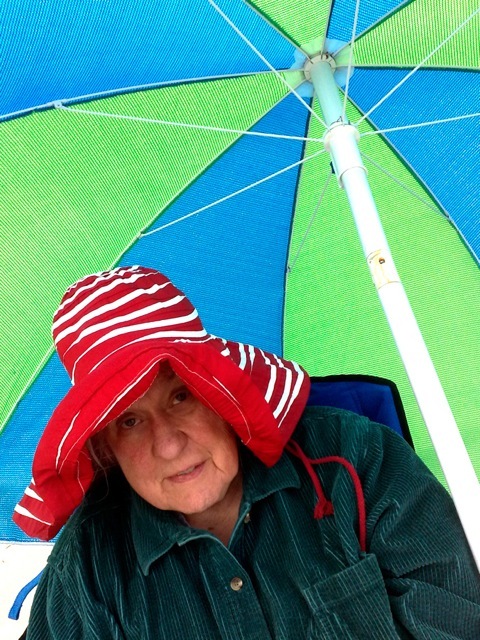 Her eye for successful design resonance remained as sharp as a tack to the end of her life. During her later years I often found myself waiting with her in doctor’s consulting rooms and I devised a game whereby we would rapidly page through fashion magazine articles that featured many clothes and accessories on a single page. The game was who could be the first to spot the best designed item on a page. To my delight, Alida’s mind was lightning fast and unerringly accurate even with her aged disabled body. As a child I remember her own creativity also gaining expression with incredible cooking, gardening, piano playing, sewing, knitting, home decorating and throwing the best parties I have ever attended. She represented her university, Pretoria, in three sporting disciplines, Tennis, Hockey and Swimming and stayed athletic until the age of 40 when work and poor health started to take a toll. She was a gifted traveller and she returned with interesting items from her travels. She and Sam built three beautiful homes from scratch; in Johannesburg, London and Bowral, Australia. 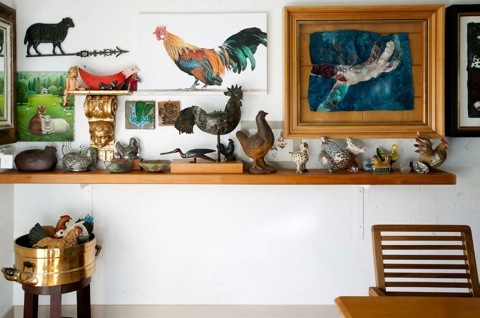 Sam & Alida’s work and living spaces with their creative use of space, eclectic taste in collectibles and a talent for combining the playful and the sublime, featured in radio programmes, press articles and documentaries throughout their lives. Sadly the fulfilment of Alida’s many dreams for self expression and happiness were reaped over and over again by a devastating burden of mental illness as she struggled with Borderline Personality Disorder from the age of 12. Battling a monster with no name – she only received a diagnosis in the last months of her life – took a dark and heavy toll on her and the rest of her family. Despite all the tragedies, she taught many people a lot of things, directly and indirectly – lessons that will live on in future generations. 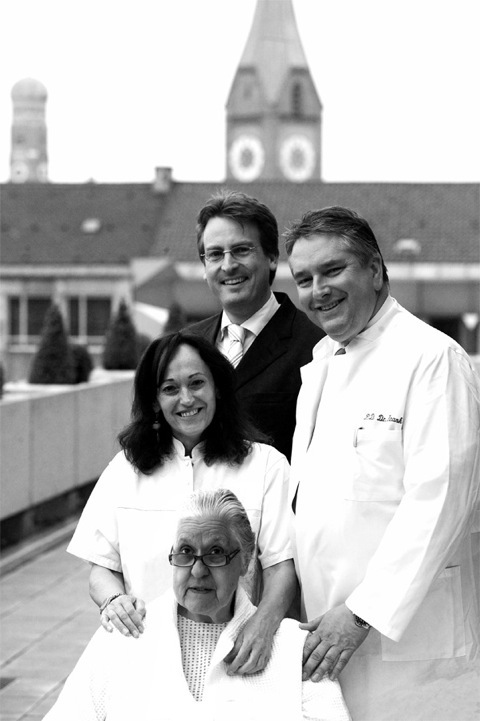 Alida with her Neurosurgeon Dr. Andreas Frank standing on the right, plus the senior nurse and the hospital director at Isar Kliniken in Munich Summer 2008. 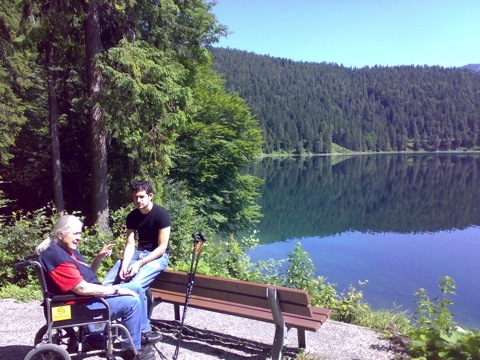 Alida with her grandson Oren in the German Alps, 2008. We pushed her 3.5kms around this lake, celebrating the success of her spinal surgery in Munich. 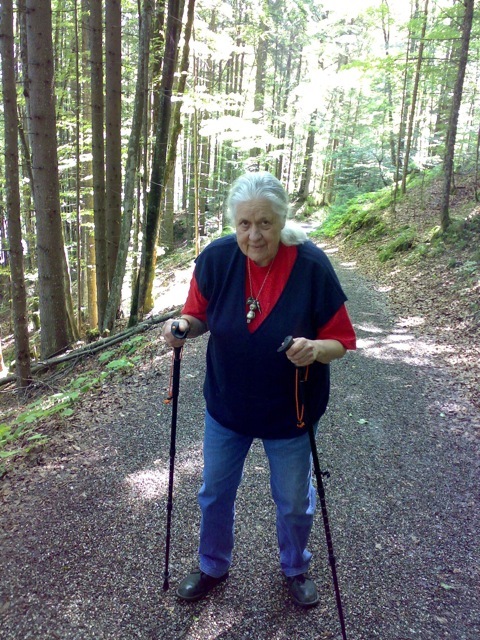 Alida – proud to take a few paces unassisted a week after an operation to relieve acute spinal stenosis. German Alps 2008. Alida on the beach at ‘Seven Mile Beach Nature Reserve’ near Berrima in New South Wales Australia, 2009. The wall in the breakfast room of Sam and Alida’s home in Bowral, affectionately known as ‘The Chicken Farm’. The embroidered image in the pine frame is by Alice Kettle. Alida is survived by two sons; Ludwig and Konrad and two grandchildren. 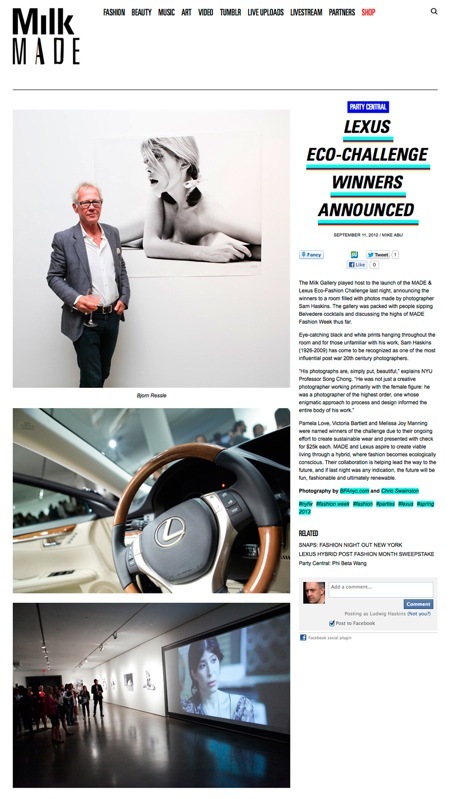 This week Lexus held their Eco-Challenge Winners event at Milk Gallery in New York. 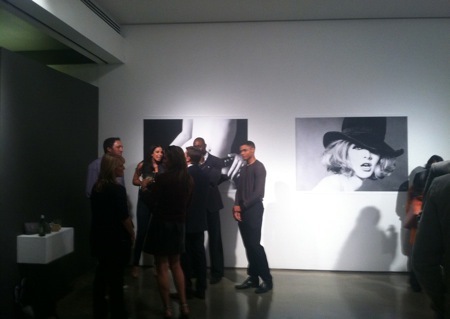 Sam’s work served to represent the photo/fashion world for what was in effect a one-night exhibition/party/prize winners celebration and of course the presentation of a new vehicle. We printed big poster like prints on heavyweight banner material and fixed them straight to the walls.